Get in where you “fit” in! The lapel pin has become a trend, maybe even more so a phenomenon in men’s fashion. And it’s only been in existence (in this form at least) over the last few years. Lapel pins started out as just that, a pin worn in the lapel notch on sports coats/blazers/suit jackets. Now, they’re ever evolving. You will see them worn on sweaters, cardigans (don’t know what it is, we’ll discuss them later in the series), outerwear jackets etc. Don’t be afraid to create you own unique way of wearing them and as you discover what works for you let us know how it goes. We’d love to see how y’all are rocking them! Check out some lapel pins by Natty Neckware. It’s been a couple of weeks since I posted on the blog…did you notice? Okay, don’t answer that but either way, I’m sorry but not so sorry! It has been quite a busy and productive few weeks for me and my brand, Natty Neckware. There were A LOT of meetings and deadlines that I had to meet. Quite a few people that I needed to speak with and I’m glad to say that all went rather well. However there will be more updates about those things to come later. What I do want to detail is one of the collaborations we that were about to sprout (pun intended). I am pleased to announce that Natty Neckware is now a collective member of Sprout Patterns! Sprout Patterns is a new service that combines curated patterns from independent patternmakers with Spoonflower designs to create custom cut and sew projects. What makes Sprout unique is not only the vast availability of designs and customizable patterns, but also the ease at which you get the fabric, print and pattern in one project. No more tracing and cutting multiple times. This is more environmentally friendly and it makes the process of sewing garments easier and more efficient. Sprout looks to combine the designer and maker worlds combating the ever so popular trends of fast fashion. I would say they’re on to something and I’m proud that myself and Natty Neckware can be apart of it. We officially launched with Sprout at the end of April and it has been a breath of fresh air because the initial phase is complete which has simultaneously brought a boost of energy. This collaboration with Sprout was a perfect fit! One of my goals for 2016, was to move Natty Neckware in a direction more focused on design. How I was going to do this I didn’t fully know but I was open to any viable opportunities that presented themselves. So, not only does this give us more exposure in the design world, internationally might I add (check the site), but it will also give us (read: me) forward progression toward accomplishing one of my brands goals in 2016. Since H&M launched its Garment Collecting initative in 2013, customers from every corner of the world have helped recycle 25,000 tons of their unwanted clothes. To make that gigantic volume more comprehendible, H&M’s head of sustainability Anna Gedda compares it to collecting 125 million T-shirts in three years. On April 18, one week dedicated to collecting at least 1,000 tons of unwanted garments starts. H&M has been on the sustainability forefront for years. After items are collected in any of the more than 3,600 H&M stores worldwide, they are shipped to one of seven sorting plants where they are sorted to become either re-worn and sold in second-hand stores, re-used as cloths or upholstery, or recycled to become new fabric and essentially new items. “The planet’s resources are limited. If we want to continue enjoying fashion, we have to find a way to make better use of the resources. H&M works for a sustainable fashion future which, among many things, means that we want to create a closed loop for fashion where old clothes can be turned into new ones without using additional materials. We still have more to do, but already today we make so-called closed-loop products from recycled denim fabric from the garments you hand in,” says Anna Gedda. To make as many people as possible aware of World Recycle Week, and to collect as many unwanted garments as possible (regardless of condition or brand, of course), H&M has teamed up with M.I.A. and several other influencers working in fashion and music while being devoted to reducing waste of the planet’s resources. “M.I.A. is fantastic. She’s not just a great artist with great style, she’s also deeply engaged in sustainability and in environmental issues,” says Anna Gedda. WHAT IS THE LONG-TERM GOAL WITH THIS WEEK? BEFORE THE WEEK STARTS, WHAT DO YOU URGE EVERYONE TO DO? HOW MANY ITEMS WILL YOU RECYCLE DURING THE WEEK? The music video with M.I.A. – watch the teaser above – highlights the environmental impact letting fashion go to waste has on the planet. So instead of throwing your clothes in the garbage and allowing them to end up in landfills, you should collect all the things you don’t want and bring them to your nearest H&M. “World Recycle Week is a movement for change,” says Anna Gedda. Get in, where you “fit” in! The Fit, intended to help provide you with all the tools and information necessary to make the right decision when selecting that next piece of clothing to expand your wardrobe. Consisting mainly of all things menswear: the “fit” of denim, suits, sports coats/blazers, etc. I’ll dive into how garments are supposed to fit and how those same garments can be tailored/altered to give you that “made to measure” look with “off the rack” prices. Stay tuned for future developments with this series, it may get even more interesting. We’ll start off with some accessories that I’m pretty familiar with for more reasons than one. Mainly because I work with them every day! I hope you can follow along. Ain’t nothing to it but to do it! There’s something new on the horizon at Natty Neckware. So, this post isn’t exactly about a specific topic, like my previous posts. This one is more of an introduction into something new that I’ll be adding to Natty Neckware which in my opinion, will make the brand even more invaluable. This something new has been suggested by several of my fashion forward friends as well as some of my not so fashion forward friends (I love them all the same either way). This something new would be an addition to my products but not really new to me because I’ve done it in the past. This something new did not come to mind naturally, even with past experience. This something new, was not an easy decision to make. I can say that with honesty because the first time it was suggested was a few of years ago, how ironic (if you’ve read my previous posts you’ll understand) and I’ve been getting that same feedback ever since. This something new is a service. This something new will bring a new perspective to men and menswear. Okay, I may be taking it a little far but let me live a little. This something new is…Style Architecture, commonly known as personal styling. Let’s build a “blueprint” for your personal style. With some brief thoughts and conversations, I saw style architecture as something that comes relatively natural to me. If asked, I immediately jump into “stylist” mode and start with my suggestions or ways to improve an outfit or lack thereof. So, here we are! The initial services I will be offering are below. Services can be used in accordance with the purchase of our products or as a standalone service. If you have any additional questions please feel free to contact me via email: nattyneckware@gmail.com, on our Facebook page or through the contact page on the Natty Neckware website. Service will officially debut in April. 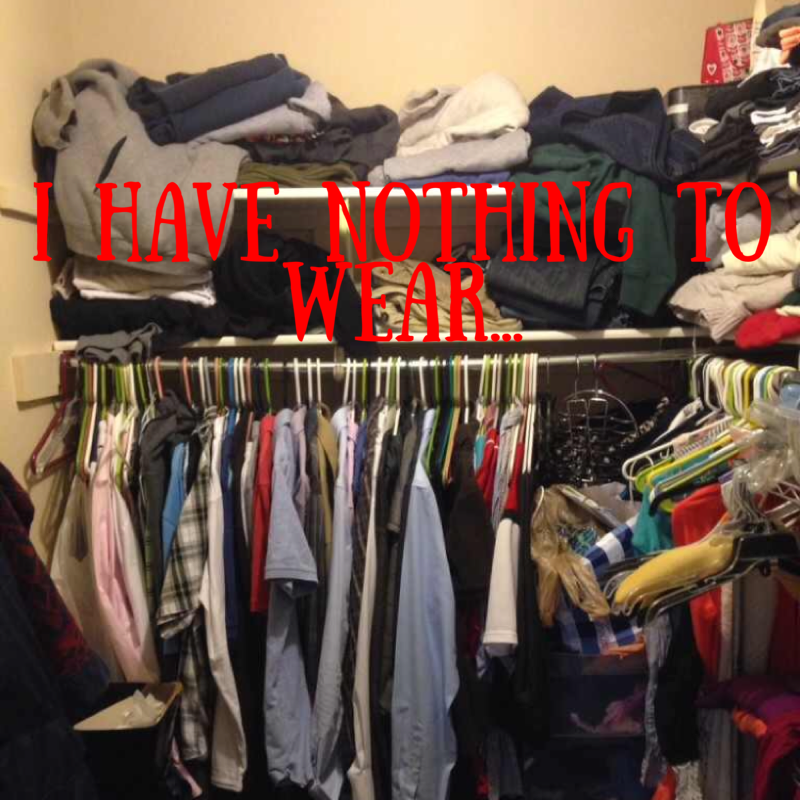 $25 for each additional hour Closet full of clothes and still “nothing to wear”. Get the most out of your closet. It’s more in there than you think. Until next time, stay Natty…. Natty Neckware has a little bit of all these…so let me give you the answers those assumptions/questions above. Natty Neckware was conceived from the notion that I wanted a dapper look but I didn’t want to use the word “dapper” to describe it. So in came the thesaurus to reveal synonyms for this often overused popular term. Lo and behold, the word “natty” was there waiting for me to give an identity to my brand. So in the end, no long drawn out story, just a love for synonyms, alliteration and being out of the box. Natty = fit, smart and fashionable. Why spell neckwear like neckware? I see accessories as statement pieces and furthermore the equivalent of wearing art around your neck. Since I’m making unique neckwear I thought it befitting that my company be called Natty Neckware.